Bienvenue dans votre maison loin de chez vous!! MISE À JOUR ATTENTION Les taux pour les résidents canadiens sont en USD 2019 et seront facturés en USD sur votre carte de crédit. Veuillez vous renseigner sur les paiements en dollars canadiens. Notre maison de 3 000 pieds carrés est située sur une plage au bord de l'eau avec des bassins de marée, des bancs de sable, et la beauté naturelle des aigles en vol et une variété de délices oceanside. La maison dispose de tout ce dont vous avez besoin, y compris 5 chambres entièrement meublées, y compris une véranda et un studio de musique de 1000 pieds carrés dans une salle de verre qui surplombe Wall Beach. Cet emplacement de mi-île offre la proximité des belles plages de Parksville / Qualicum Beach et des excursions à Victoria ou Tofino ainsi que de nombreuses attractions locales, y compris l'équitation, la marina / location de bateaux, spas / resorts mondialement connus et une atmosphère familiale privée . Musiciens, artistes et amateurs de médias seront enchantés par un studio qui fera plaisir et inspirera vos sens puisque la maison a été présentée dans une variété d'émissions de film / musique / radio ainsi que des soirées de lancement d'enregistrement de CD, des concerts et le Bard to Broadway Visite de la maison et du jardin en juillet 2007. Notre maison dispose également d'un pied carré Music Studio 1000 avec un Grand Piano Disponible pour les musiciens sérieux seulement. Le piano est toujours couvert lorsqu'il ne est pas en cours d'utilisation. I rented the house for my family to stay at (8 adults but lots of the other daytime visitors) for our Wedding at the Pacific Shores Resort. This is an awesome space for a family gathering with many places to sleep, would be great for families with kids. The view from the front window is breathtaking. Sherilene is very accommodating and helpful. We did find the rules and instructions a little much to follow sometimes, but all in all, my family enjoyed there stay here. We were a party of 7 adults and 5 children. There was plenty of space for all of us, loved the beach access, and there were lots of toys for the kids to play with. For us grown-ups, however, there were a few draw backs. I found the place very cluttered and the decor dated. Every cupboard and corner and shelving were full of stuff and very dishevelled. The tv and and sound system were old, and many of the sheets had holes. The kitchen appliances were overly confusing and hard to use, we found it hard to get the oven up to temp and the stove would shut off unexpectedly. Further, I found it hard to relax with the extensive list of rules and regulations in the house, specifically around water usage, dishwasher instructions and garbage policies. I was really turned off by the expectation that we must take every piece of recycling and garbage with us when we leave, as well as start our own laundry the night before we left. Lastly, check in time wasn't until 5pm and the owner wanted us to leave by 10am on our final day. It made our trip feel shorter then it should have. In conclusion, we enjoyed our time well enough and have fond memories, but won't be returning. We are grateful for feedback from guests and realize that some expectations are not the norm for all our clients. The beach house is a beach house with toys, videos, games and cottage type TVs as the beach is the draw for our clients. We have good quality furniture while at the same time if want to wonder around the house with a wet bathing suit and sit on the couch and leave a wet spot it will not alter the look of the laid back style. We have already booked up for next summer 2019 with clients who come year after year and we have also realized that week long stays are better for the property. I believe the price per night made the three day stays more affordable for families who want one house instead of multiple hotel rooms. In contrast, our appliances are Gaggineau and I send videos, tips and demonstrations how to use them as well as our $6,000 special Kagan water machine for purified cleansing and healing water. In terms of the rules, we live in a rural area and garbage collection is every two weeks. In the month of July, I took over 212 kg of recycling and refuse as we cannot leave in the shed. I send out reminders, video clips and offer clients to preview our property. We do our best to accommodate everyone. We have a 5 pm check-in and 10 am check-out as we had 10 back to back three night stays and it takes 8 hours to wash, launder and freshen / sanitize all sheets, comforters and pillows sometimes with 12 beds. Next season we are only renting weekly with a five day stay at minimum. I appreciate all our clients who read our reviews and give us feed back. It is often better to communicate during the stay of concerns rather than write comments after the fact, however, we honour and value all opions. Can’t beat on the beach and view. Spacious and relaxing. Blue Dolphin House is a great beach house. Amazing views, spacious house, not fussy so great for relaxing vacation at the beach. Owner is lovely and responsive. Wonderful to have our clients back year after year and watching families grow together. Our pleasure to host you now and in the future. This beach house is a comfortable place to hold a family get together. There is everything to make a gathering go well. Comfy beds and ample pillows. Its kid-friendly and comfy. The oven and stove top are not conventional, but there's bound to be someone in the group who can be designated to figure it out. All part of the fun of being together! We loved the beach views and being close to the water. With a three night rental there was not time to digest all the instructions and we got a bit mixed-up about the departure protocol, but the kindly owner looked upon us favourably. I would rent again. 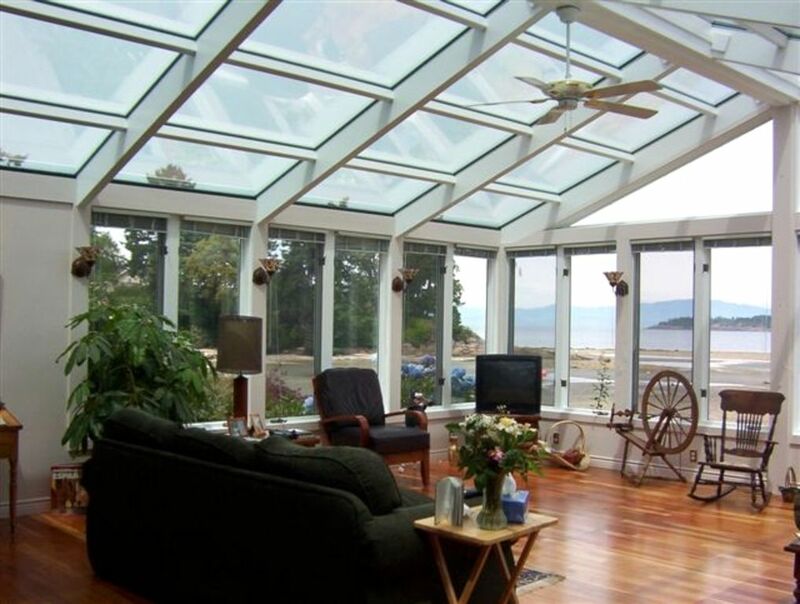 Wonderful location close to Parksville. We really enjoyed staying in this vacation home. Rooms are clean. Location is good. We had a wonderful summer vacation there. Our family spent 4 days at Sherilene’s lovely home in Nanoose Bay. The place was spectacular, right on the water and very cozy. She had everything we needed! Definitely would recommend! We appreciate the wonderful feedback and review. Week long summer renters are responsible for removal of all garbage and recycling at the Church Road transfer station as the home is located in a rural area and pick-up is bi-weekly throughout the year.